The Haggard Law Firm, P.A. represents the rights of people permanently injured or killed through the fault of others. We are passionately committed to our clients and stress the highest level of personal service, professionalism and case preparation. It is our top priority to develop and maintain a sound attorney/client relationship founded on mutual honesty, trust and teamwork providing the best results for our clients. Our firm handles all categories of personal injury and wrongful death claims, including those related to premises liability, automobile accidents, negligent security, crime victims, liquor/bar liability, pool drowning/drain entrapment incidences, sports injuries, and products liability. 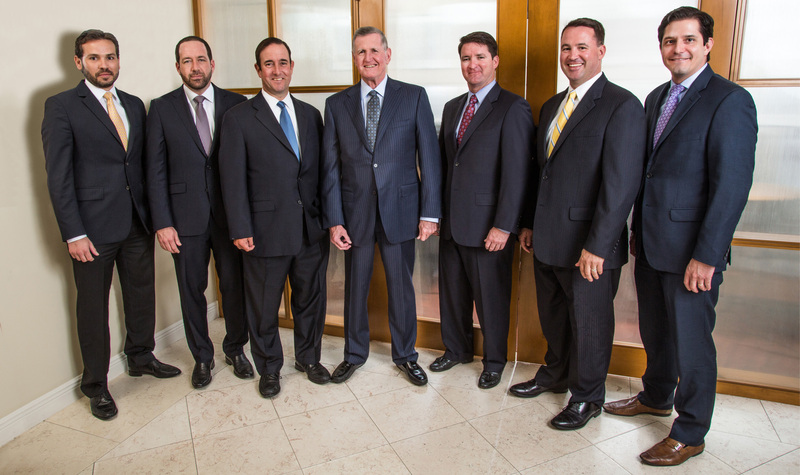 Our law firm and attorneys have received a variety of recognition and awards including listings in Best Lawyers of America, Super Lawyers, Florida’s Legal Elite, The Million Dollar Advocates Forum, among others. Our firm has received the distinguished “AV” rating from the Martindale-Hubbell Directory, which is based on evaluations by other practitioners in the community and represents the highest rating obtainable. Our Managing Partner, Michael Haggard, was recently named ‘Lawyer of the Year‘ by Best Lawyers and received the Florida Justice Association’s most prestigious honor, the Perry Nichols Award. We serve our clients in state and federal courts throughout Florida and around the country, as well as several international jurisdictions. We believe that the representation of injured persons does not stop in the office and in the courtroom. Whenever possible, we work with the legislators to implement laws that permanently preserves and protects the rights of the public against injury and harm. This proactive approach mirrors our dedication to our clients and their causes. We have been honored that some of our verdicts have led to changes in the law, helping to protect the general public from unreasonable harm.